Second mortgages - Greystone Loans, Inc. Taking out a second mortgage on your home used to carry some stigma with it – a sign that you were in financial trouble. But today, the ability to borrow money against your property is considered one of the biggest advantages of owning a home. A second mortgage is essentially a loan secured by your home or another piece of property with a first mortgage. The second mortgage allows the homeowner to tap into his or her equity to pay for college tuition, essential home improvements, pay off credit card balances or other pressing financial needs. Because there is more risk involved with a second mortgage, the lender's conditions are usually more stringent, the term is shorter and the interest rate is higher than for the first mortgage. In the event of default, the holder of the second mortgage is subordinate to the first. To qualify for a second mortgage, your credit must be in good standing and you must be able to document your income. An appraisal will be required on your home to determine the home's market value. By definition, a second mortgage is any loan that involves a second lien on the property, but you generally have two options: a home equity loan or a home equity line of credit. Both options combine your first and second loan, so your loan will be limited to 75 to 80 percent of your home's appraised value. With a home equity loan, you borrow a lump sum of money to be paid back monthly over a set time frame, much like your first mortgage. However, the closing costs (often 2-3 percent of loan amount) are often higher than your first mortgage and the rate - usually fixed – is also higher. A home equity line of credit (HELOC) is an open line of credit tied to an equity-based maximum loan amount. You may use the account for a set period of time (5, 10 or even 20 years) as long as there are funds. Once your predetermined time period is up, you will be required to pay off the loan, making monthly payments on the principal and interest. 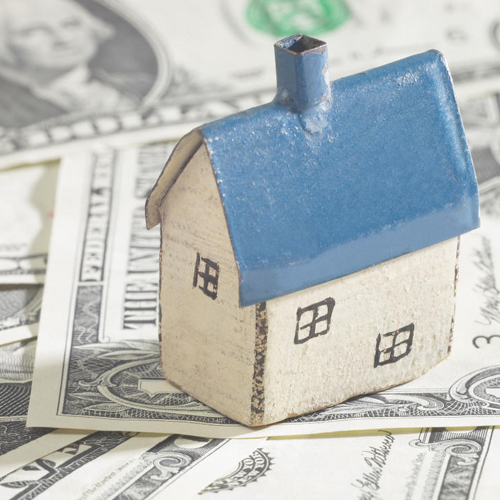 The interest rate can fluctuate month to month on a home equity line of credit, which makes this option appealing when interest rates are low, but risky when interest rates increase. When deciding what type of loan is best for you, it is important to consider how you will use the money and how you intend to pay it off. Do you need money in one lump sum or intermittent over several months or years? Do you want a fixed interest rate so you can repay your loan in precise monthly installments or would you rather have the flexibility to make any size payment above the interest-only minimum? In today’s competitive market, there are many options available. I will help you find the right mortgage product for your lifestyle and financial needs.